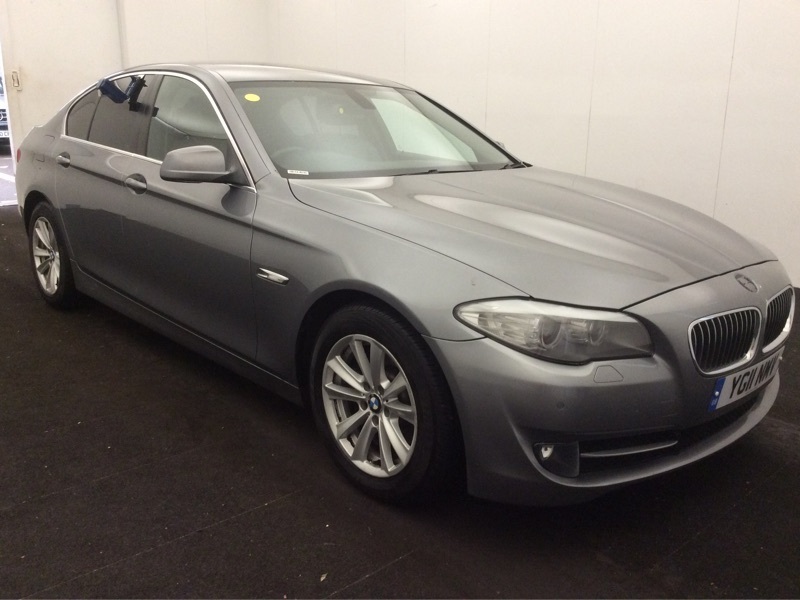 BMW 520D SE-New shape, leather, bluetooth, lovely colour, low price! BMW 520D SE. Diesel/Manual finished in Grey. This car is fantastic, it is well spec'd, a great price looks amazing and has been really well maintained. The car has been loved, the paintwork and the interior are in fantastic condition. The day to day running costs are great with tax costing £120 per year and whilst offering 181BHP it returns 57.7 MPG which is why it is such a popular model with motorway drivers. This car was built for convenience, it has dual climate control, Bluetooth and parking sensors to ensure convenience. As with all SE models, this car is well spec'd and the main features include leather seats, cruise control, rain sensor wipers, stop/start engine and privacy glass. This car is a great buy, it is in fantastic condition, priced to sell quickly, performs brilliantly and is well spec'd, add to this the 12 months AA cover and 6 months warranty included in the price we believe it represents brilliant value!